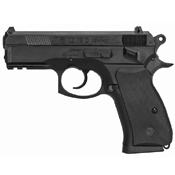 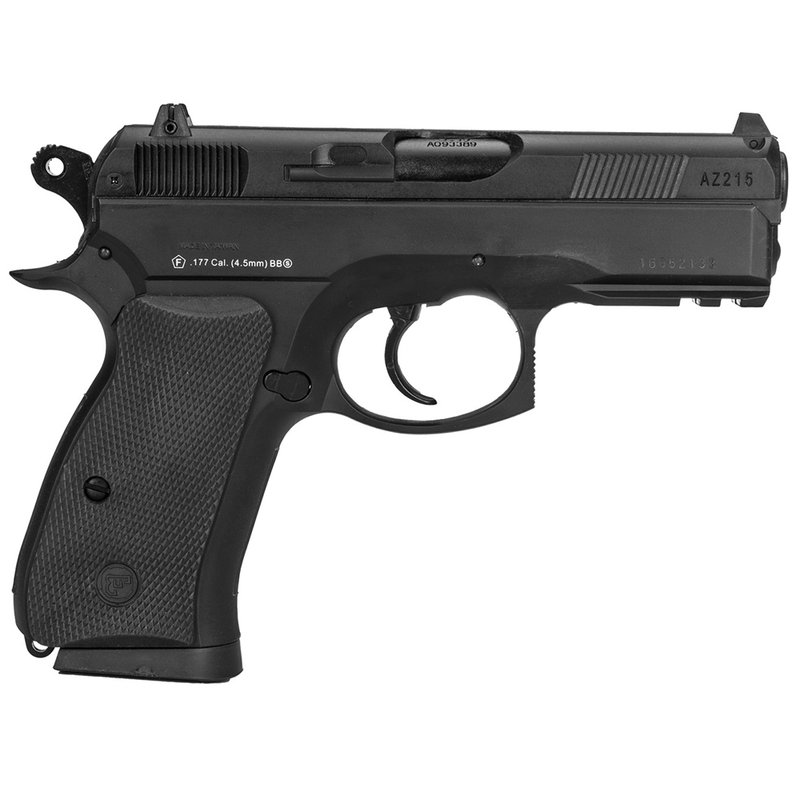 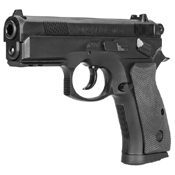 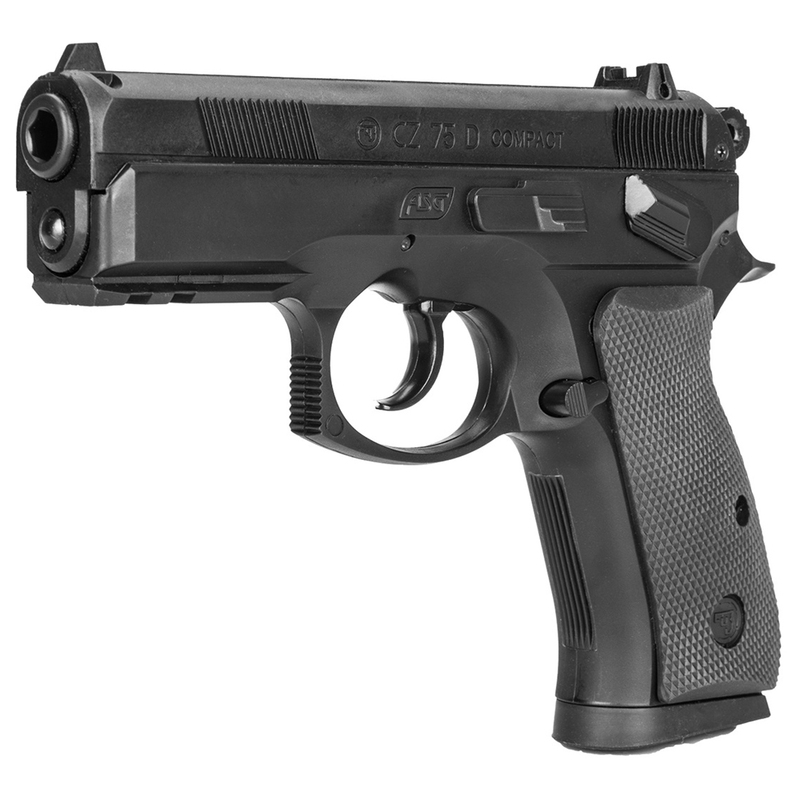 A black version of the semi automatic 4.5mm (.177) CZ 75D Compact, licensed by Ceská Zbrojovka, Czech Republic. The airgun has authentic CZ markings and unique serial number. The front waiver rails give you the opportunity to mount laser and flashlight. The rear sight is adjustable to secure better accuracy. The magazine holds 17 BB’s and also stores the 12g CO2 cartridges. 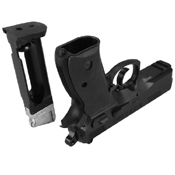 The Magazine is protected with a rubber base, so it doesn’t break easily if it is dropped. 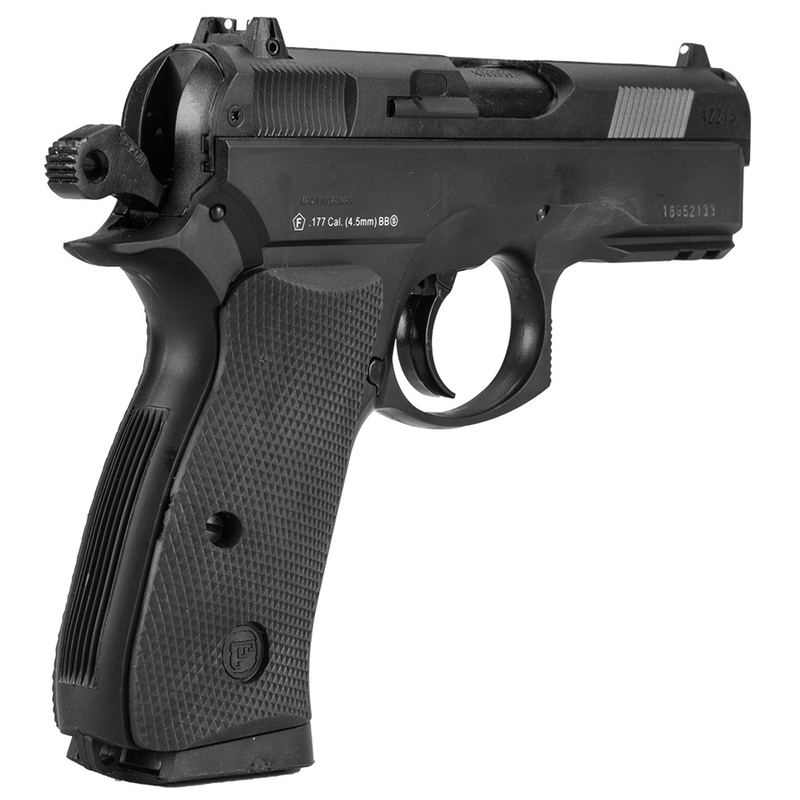 The grip is rubber patted and with the high rise beavertail, it secures a firm grip with perfect control. 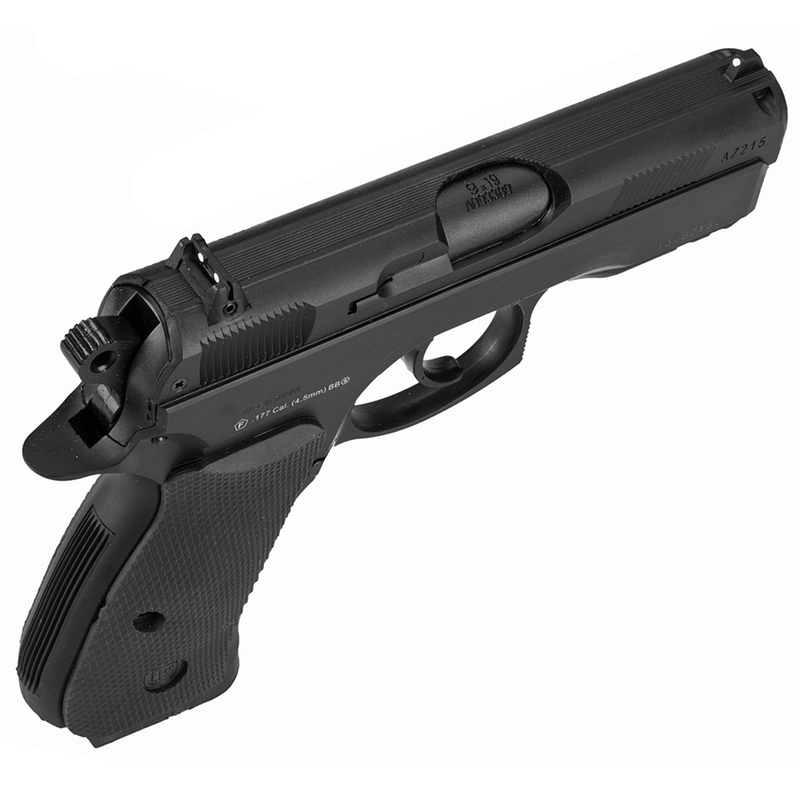 The pistol comes with a tool allowing you to change the CO2 cartridges in the magazine and unscrew the front to unveil the silencer threads.